World-renowned artist Shaun Tan applies his extraordinary talent to a reflection on the nature of humans and animals, and our urban co-existence. From crocodile to frog; tiger to bee, this is a dark and surreal exploration of the perennial love and destruction we feel and inflict – of how animals can save us, and how we are entwined, for better or for worse. 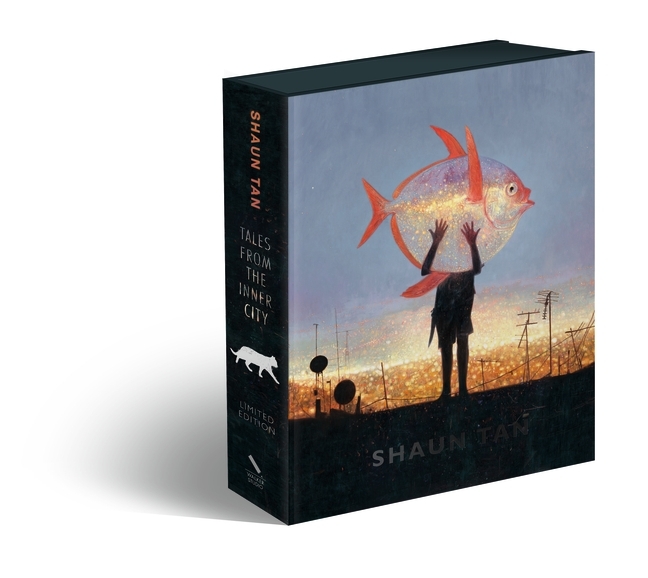 Tales from the Inner City is a truly masterly work, bearing all of Shaun Tan’s trademark wit and poignancy in both its prose and exquisite illustrations. This limited gift box edition includes an exclusive signed and numbered print.